A Nilometer (Nile-o-meter) is a structure in Egypt for measuring how high the annual flood of the river Nile rises each year. Before the 20th century, each year the Nile River would flood in the spring, spreading silt across the land it covered. This inundation brought life to the region, because the silt it deposited enhanced the fertility of the soil. The government used the Nilometer readings to determine the taxes for that year. If the flood level was measured as low, then taxes that year would be low, due to reduced rich silt deposits and possible drought. If the flood level was medium, taxes that year would be high, because medium was the ideal level. If flood level was high, there would be no taxes because the flood was destructive and people needed to recover. In my travels to Egypt, I’ve seen 3 different Nilometers. There are others that I have not (yet) had the opportunity to see, but perhaps I’ll get to see them on a future trip! I’ve seen reports that as of today there are fewer than 24 known Nilometers which have been found by archaeologists. 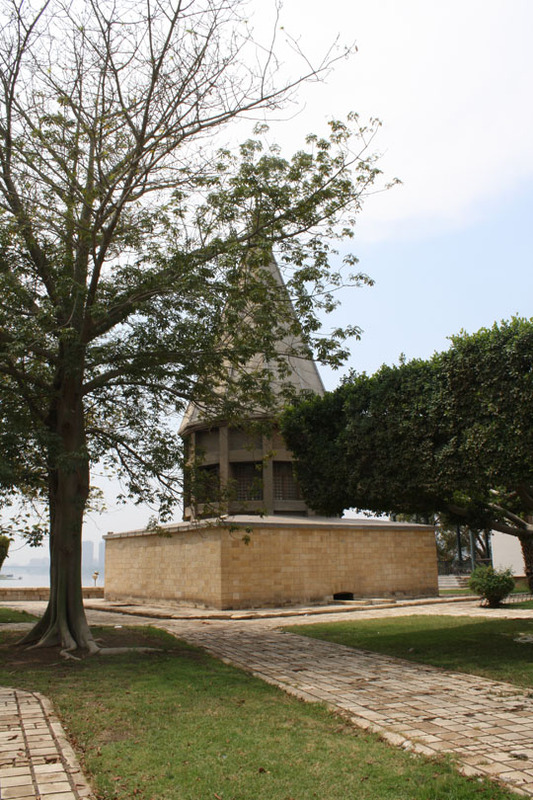 The Nilometer in Cairo is on Rhoda Island, a short walk from the Oum Kalthoum Museum. If you visit Cairo, it’s worth a trip to the island to visit both. 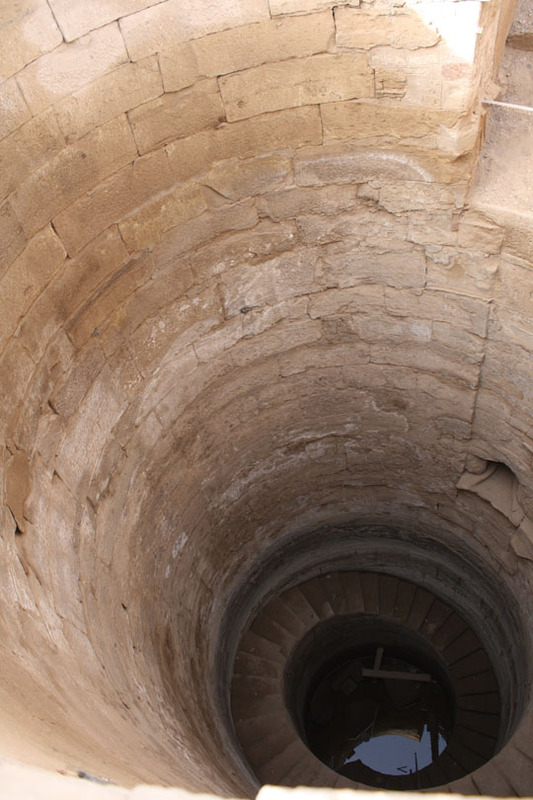 This Nilometer is one of the oldest structures in Egypt built after the Arab conquest. The original building at this site was erected in 751 CE, though archaeologists believe there was probably an older Nilometer at this site in Pharaonic times. This initial structure was destroyed by a heavy flood in 861 CE, so the Abbasid Caliph al-Mutawakkil commissioned the current building to replace it. Although the subterranean portion of the ancient building still stands, its dome was destroyed in 1825 by a nearby explosion. A restoration was created, using a painting by Fredrik Ludvig Nordenas to provide guidance on what the original looked like. 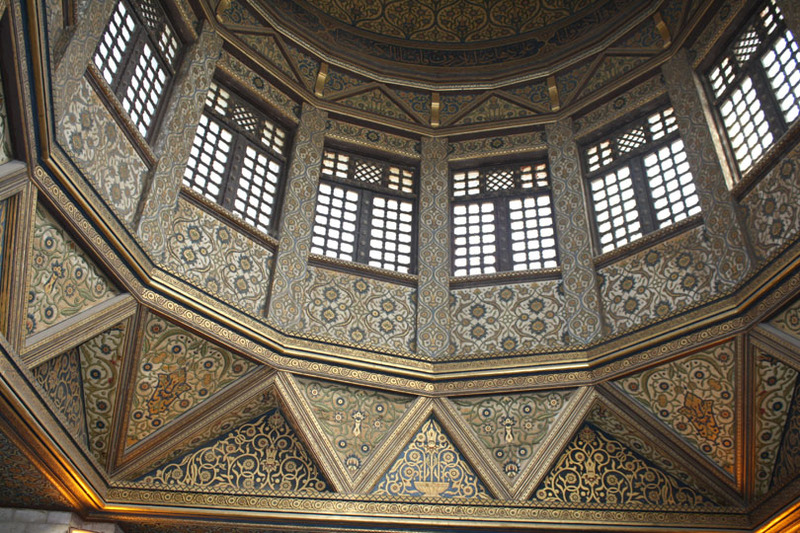 This is the interior of the dome of the Nilometer in Cairo on Rhoda Island, next to the Oum Kalthoum museum. This section was destroyed in 1825 and reconstructed. Photo was taken from surface level looking up into the cupola on February 9, 2017. Today, the tunnels leading from the Nilometer to the Nile are blocked off, and therefore water no longer comes in. It is possible to descend a flight of stairs into the shaft. There are no handrails along the stairs, so it requires an adventurous spirit to do it! The interior is beautiful. This Nilometer is located at the temple in Kom Ombo, Egypt, a town that lies between Luxor and Aswan. This is one of the temples that Nile cruises stop at, and it’s a very interesting one to tour because it’s dedicated to TWO gods, Horus the Elder and Sobek. The Nilometer at Kom Ombo is a deep, cylindrical opening into the ground. At ground level, it doesn’t look like much, just a small circular wall. It has a tunnel at the bottom that reaches outside the temple walls to allow the flood water to come in. I have seen this Nilometer near Aswan from a boat on the river, as we floated past Elephantine Island where it resides. I haven’t yet set foot on the island to see its entrance from above. 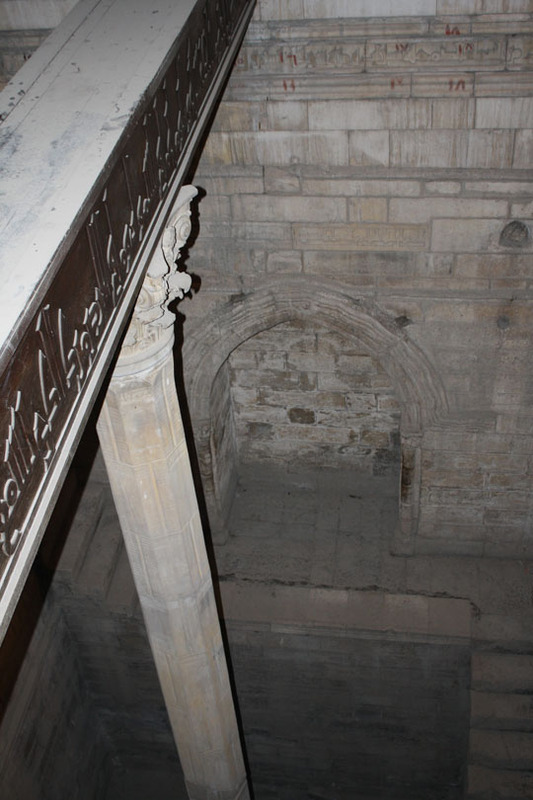 Archaeologists believe it is the oldest Nilometer in Egypt. For most of ancient Egyptian history, Elephantine Island was the southern border of the Pharaonic kingdom. 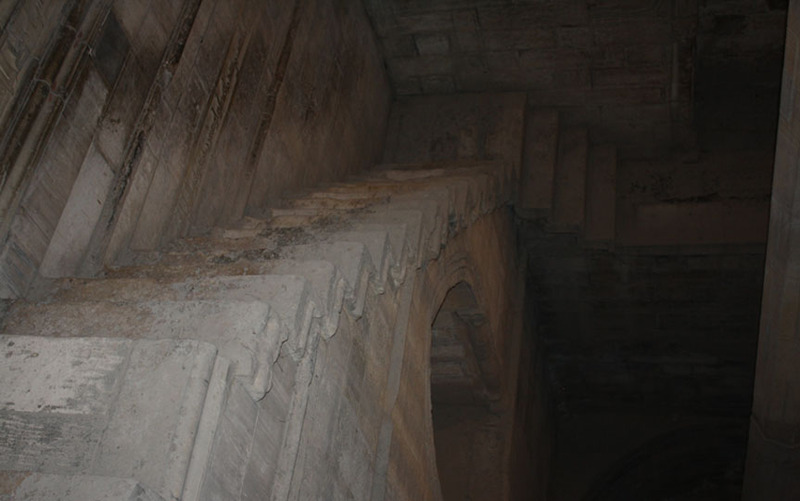 For that reason, the flood waters would reach this Nilometer first, before flowing downstream to the rest of the kingdom. It provided early insight into what growing conditions the country as a whole could expect. 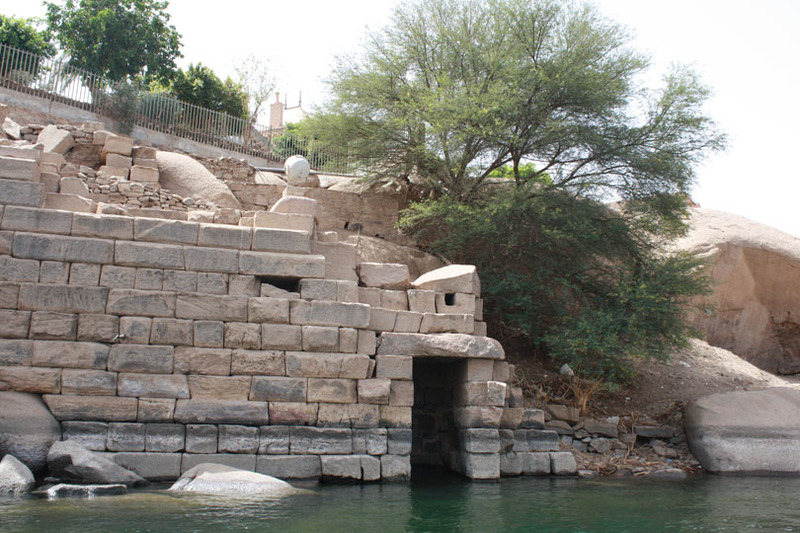 This Nilometer at Elephantine Island was mentioned in the novel River God, by Wilbur Smith. Someday, I hope to see other Nilometers in Egypt. There’s one in the Nile delta at the ancient city Thmuis, which is near the modern city of El Mansoura. Archaeologists estimate it was build in the 3rd century BCE. I learned about this one from a National Geographic article about it. 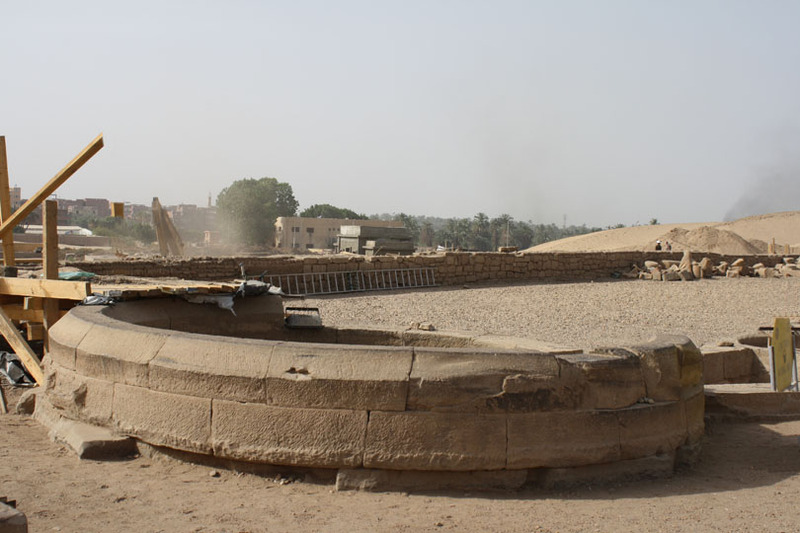 The beautiful temple of Isis that resided on Philae Island had two Nilometers. However, in the 1960’s, because of Aswan Dam constructions, about 1/3 of the temple’s buildings became flooded year round. The Philae temple was dismantled and moved to Agilkia Island as part of the UNESCO effort to save temples threatened by the completion of the Aswan High Dam. I don’t know yet whether Philae’s surface-level Nilometer structures were moved and reconstructed when the temple was moved. I have toured Philae about 5 times on my various trips to Egypt, and the guides didn’t point out any Nilometer remnants. Even if they did, it would be only surface level, without the deep hole down into the ground. I’ll ask about it the next time I go. I’d like to thank Wael Mohamed Ali for assisting me with my questions about the Nilometers in the Aswan area. I’ve appreciated Wael’s services on some of my visits to Upper Egypt as a tour guide and a translator. He’s very knowledgeable, and a pleasure to do business with!